SlotsLv is the newer online casino aimed at USA and Canadian players. Taking all players from North America. 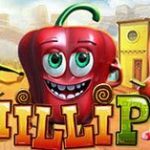 If your looking for an exciting U.S. online casino, featuring exclusive games, RTG games and Betsoft games look no further. SlotsLv offers over 369 online slots and online casino table games. 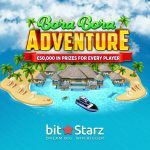 Featuring player friendly casino bonuses, Bitcoin friendly, easy credit card deposit options (99% success rate) even from the USA and quick payouts, instant with bitcoin. Instant play casino and download version available. I would suggest if your using a windows computer go for the download version as there are more games. For you slots fans SlotsLv has a slot only multi deposit bonus. There is a total of $5000 in bonus money to be claimed. To claim this bonus visit Slots.Lv . Set up your account in either download or instant play version. After account set up go to the cashier and insert code HELLOSLOTS before making your first deposit. This code will give you access to a 100% bonus up to $500 on your first 10 deposits. Please remember this code is only for use on slots. If your after table games please use the bonus listed below. Very few online casinos that cater to North American players offer table game bonuses. Table games have such a small house edge that they are simple to beat with a bonus. For Table game players we are offering an exclusive $1000 bonus to signup and try out the games. This bonus consists of a 100% match bonus up to $500 which can be used two times. To claim this offer first visit SlotsLv from here. The next step is to set up your account. Once done go to the cashier and redeem coupon code HELLOGAMES before making your first deposit. Remember this bonus is only for table games, not slots. You can claim both the table game bonus and slots bonus, for a total of 12 times and $6000 in bonuses. If you cant win with that you shouldn't be gambling. SlotsLv has over 300 online slots machines, from 3 reel old school slots to all the newer 243 way slots. There is a nice section of all the newer 3d slots and some huge life changing progressive slots. SlotsLv carry's slots from RTG, BetSoft and also have there own independent, exclusive slot machines. Bet sizes start at as little as 1 cent to well over $100 a spin for anyone lucky enough to have that kind of money. What online casino would be complete without video poker. SlotsLv has 17 different video poker machines. Old school ones such as jacks or better and joker poker to some all new video poker games such as sevens wild and 7 stud poker. 24 different table games are on offer here. Mostly all the old favorites such as BlackJack, Caribbean Stud Poker and Roulette. Slots Lv also offers 3 card poker, craps, pai gow, baccarat, and pontoon. A couple of variations of blackjack will keep you entertained such as face up 21, super 21 and match play 21. Visit Slotslv Now.